I've probably said this many times before, but in all sincerity- I love this blogging community I've become a part of! It's really like no other. I've made friends and built relationships with some of the most awesome women ever. Some I've never actually met face-to-face, some are now on a texting basis with me, and some have become the truest friends I could ever have imagined having. We share pictures through our blogs and social media with each other, we email and/or text each other for encouragement or prayers, and we pack up goodie boxes and mail them to each other's houses. Just because. Now if only I can find a way to live next to each and every one, across the country! Still working on that one. I love being a part of their little world and allowing them into mine. I love this fellowship we have with one another and get extremely giddy when my blog friends then become blog friends with each other. The ripples reach out so far! Connections are made and again this sort of blogging and Christian fellowship continues to grow and surround us all. Like a lovely little web of amazingness. One friend in particular lives in Tennessee. I live in California. The distance is...definitely there, to say the least. I really really really wish this friend and I lived next door. But! We compensate for this lack of physical hanging out by frequent text messages to one another and care packages often! Every time I receive one, I smile from ear to ear because I just know it will contain something amazing. For example, the time I received a bunch of little knick knacks- random bits of loveliness that she had thoughtfully included in my box. I just loved seeing each thing she thought "was neat" or "cute" and still hold them dear to my heart. Included in that box was a recipe card, hand written, including her family's Honeybun Cake recipe. I mean, talk about awesome! So I made it. We LOVED it. And it's now in my family's cake recipe repertoire! The neatest part- every time I make this cake, it's like Tennessee and California's distance don't exist and we're right there with each other, enjoying a slice together! Blogging: Families getting to know families, you guys. Communities being built. Fellowship thriving through relationships. And Jesus reigning above all! 1. Preheat oven to 325°F and spray your bundt pan with cooking spray (I used a 10x3" bundt pan). 2. Into a large bowl, dump your box cake mix. 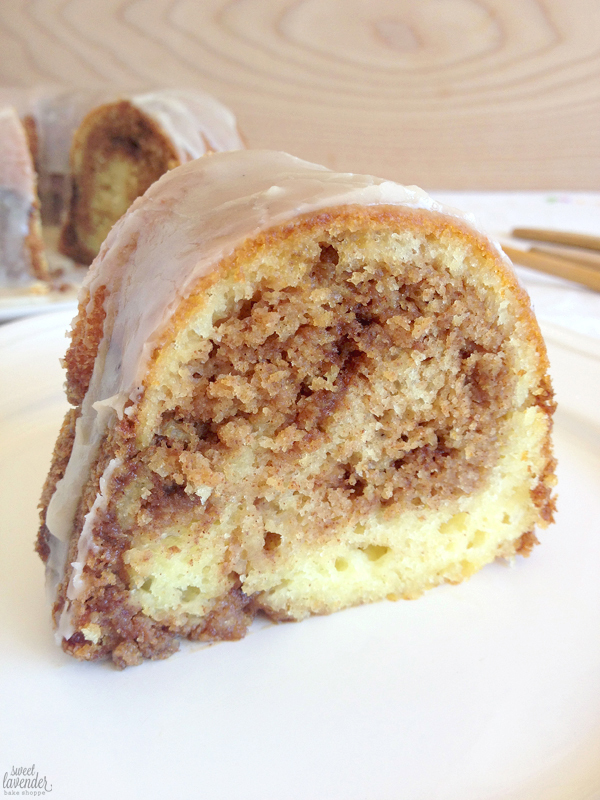 Spoon some of the cake mix into your greased bundt pan and "flour" the inside. Make sure to completely coat the whole inside of pan, including middle arm that sticks up. Tap excess cake mix off, back into your bowl. Set pan aside. 3. In a separate smaller bowl, mix together your brown sugar and ground cinnamon. Set aside. 4. Into the large bowl with the cake mix, add your oil, eggs, and greek yogurt. Whisk by hand until mixture is combined and there are no lumps- about 1 minute. 5. Pour half of your batter into the bundt pan and then scoop half of your brown sugar mix over the top. With a knife or skewer, swirl the two together. Top with the remaining half of your cake batter and the other half of your brown sugar mix. Again, swirl together with a knife or skewer. Gently tap pan on the counter to settle and even out top. It may seem like too much brown sugar mix and you may have to really swirl it together to get all of it into the cake batter, but believe me- it works with the cake perfectly! 6. Bake on the middle rack of your oven for about 40 minutes or until a toothpick comes out clean. 7. 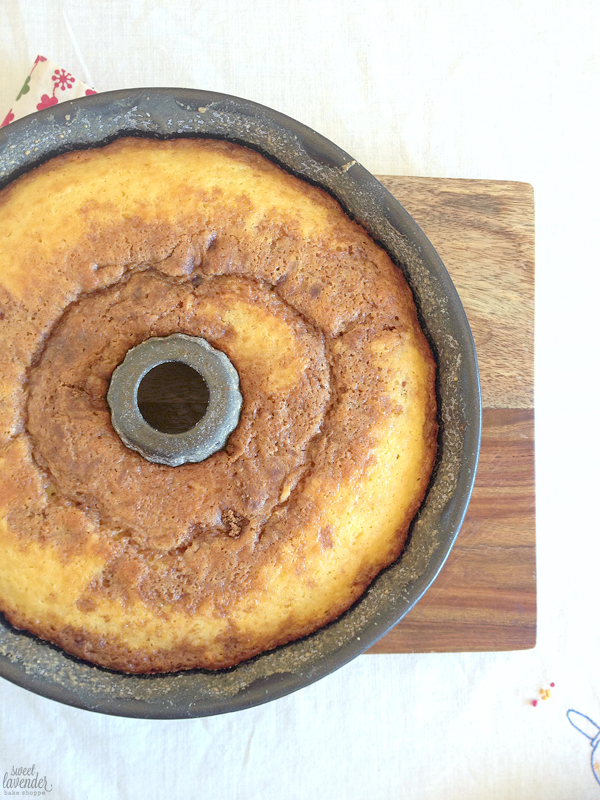 Let cool in pan 10 minutes before inverting it onto a cake platter or plate. Let cool completely before drizzling icing over top. 8. To make icing, simply whisk together the powdered sugar, vanilla extract, and milk until it is completely lump free. Spoon over top of cake. Thank you so much Michele! I love you heaps and heaps! 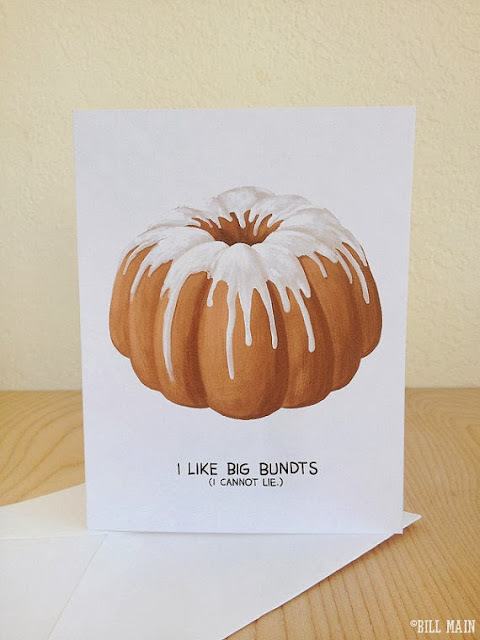 PS- if you are an avid lover of bundt cakes, then you MIGHT just love this card, as well! This looks amazing! 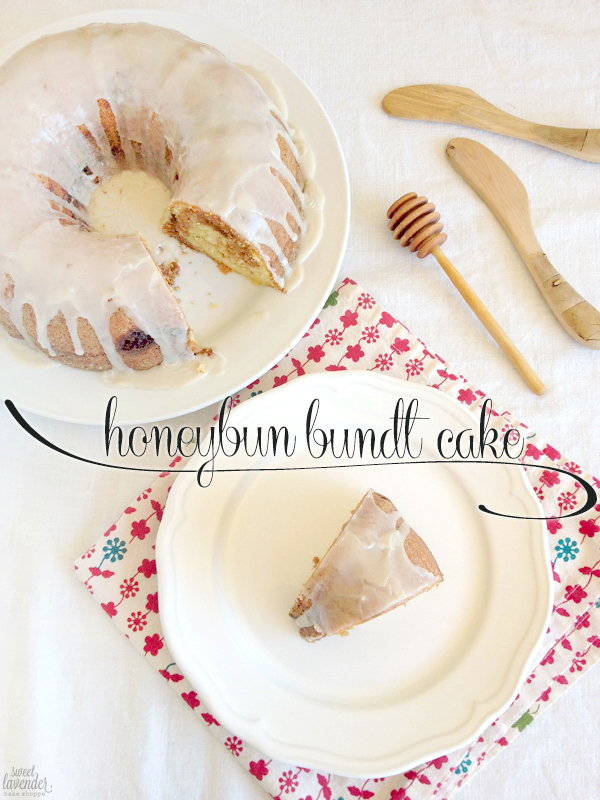 I absolutely adore your blog, so glad I came across it! Gosh thank you so much! I really appreciate that! off to buy these ingredients right. NOW. So glad you guys enjoyed! !